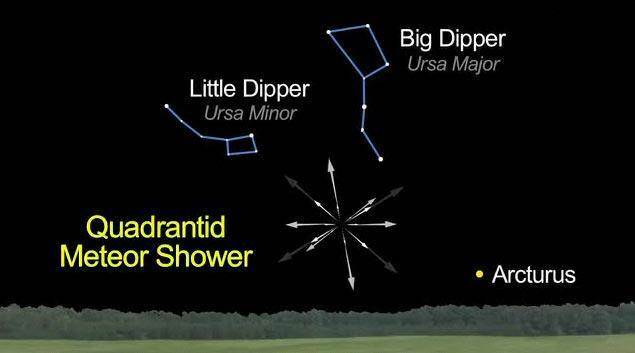 The Quadrantids is an above average shower, with up to 40 meteors per hour at its peak. It is thought to be produced by dust grains left behind by an extinct comet known as 2003 EH1, which was discovered in 2003. The shower runs annually from January 1-5. It peaks this year on the night of the 3rd and morning of the 4th. 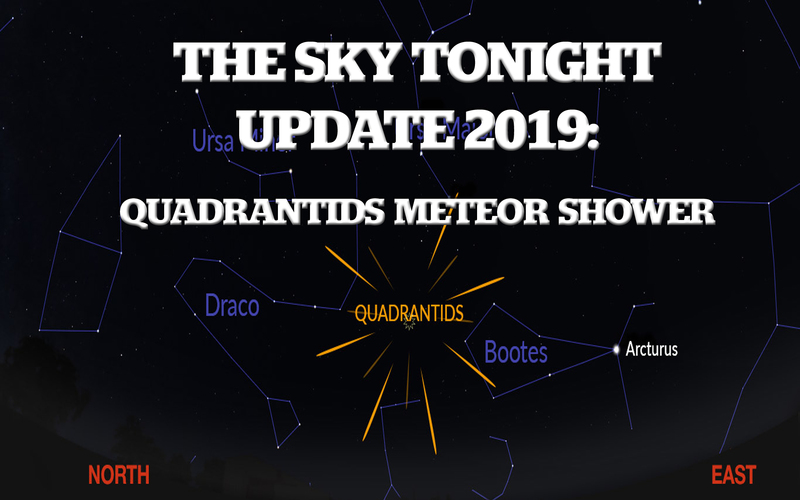 January 3rd will mark 2015’s first meteor shower: The Quadrantids. This traditional meteor shower starts the year off and peaks at about 9pm ET on Saturday.